Control your marketing supply chain with the S4 Marketing Resource Center (MRC), a print-on-demand portal and ad builder. Easily deliver brand-right marketing campaigns consistently across all channels by closing the gap between corporate marketing control and your end users. The S4 MRC platform is designed to streamline the marketing management process from design to distribution. Whether it’s sending a direct mail campaign locally, updating in-store signage, or any other distributed marketing action, we’ve combined versatile eCommerce and media building tools into one comprehensive platform to simplify your workflow while simultaneously allowing for centralized marketing control. The S4 Marketing Resource Center addresses one of the biggest problems businesses continue to struggle with: How do we empower our end users to create customized marketing materials while enforcing brand control at the same time? Until now, businesses have been forced to choose between high quality marketing materials and tools simple enough for their end users to use on their own. With the S4 Marketing Resource Center, your local networks can create stunning branded marketing pieces using a simple yet powerful media builder. In addition to offering a powerful media builder, the S4 MRC features a robust eCommerce platform making it easy for end users to browse, search and order the marketing materials they need. We help franchisors plan, create and execute local marketing campaigns by empowering franchisees to do more themselves. Learn how franchises in all markets can use the S4 Marketing Resource Center to create outstanding local marketing campaigns more efficiently than ever before. Strong branding and compelling marketing campaigns are essential to growing market share in the retail world. To overcome the challenges of planning, producing, and executing all of your other marketing initiatives, we built a software solution that connects corporate marketing operations directly to your locations. Need a better way to assist dealers, distributors, and other channel partners to make a lasting impression on consumers? Learn how our S4 Marketing Resource Center strengthens your sales channels and increases reach while reducing production costs. From initial campaign planning to production and distribution, Suttle-Straus can help simplify the complex marketing supply chains insurance companies struggle to maintain by putting local marketing tools directly in the hands of your agents. Wish there was an easier, more efficient way to accomplish marketing initiatives at the local level? 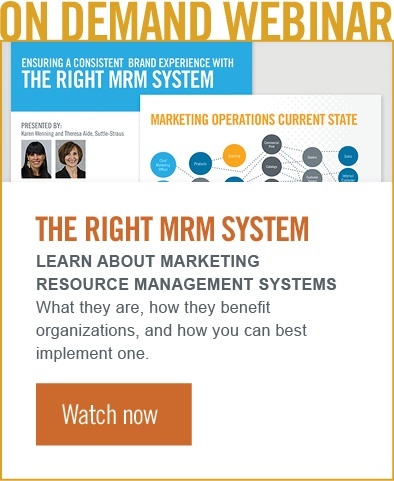 Learn how the S4 Marketing Resource Center empowers branch managers and office administrators to plan and order approved marketing materials through an easy-to-use marketing software system. Connecting with customers while navigating the complicated legal regulations found throughout the healthcare industry can be a difficult task. Learn how the S4 Marketing Resource Center makes it possible to ensure compliance while streamlining your local marketing process.